Sam the Bellhop is one of the most captivating routines in card magic. This performance consists of telling a story while overturning cards, from an apparently shuffled deck, that correspond with events in the plot. To learn this trick you must master a false shuffle, a false run and a false cut. Once you have command of these techniques you will be ready to apply them to the Sam the Bellhop story for an impressive effect. Hold a deck of cards with both hands, keeping the deck on a table. Cut the deck with your right hand while pressing down on the top card with your left index finger so that it slides off of the pack and onto the bottom-half pile. Hold the bottom half of the deck with the top card in your left hand and the top half minus the top card in your right. Riffle the card together by only interlacing the inside corners closest to you. Allow the bottom card of the bottom half to fall first and the top card on the bottom half to fall last. Slide the top card over the "V" shaped gap that is created between the interlaced halves of the deck with your left index finger. Even the halves underneath the concealment of that top card so that the cards are no longer interlaced. Slide the top half of the deck underneath the top card and on top of the bottom half, returning all the cards to their original order. Pick up the top third of the deck with your right hand and the middle third with your left, leaving the bottom third on the table. Simultaneously place the top third in front of the bottom -- farthest from you -- with your right hand and the middle third behind the bottom third -- closest to you -- with your left. Pick up the middle third with your right hand and place it on the bottom third, restoring these two portions back to their original order. Place this pile on the top third leaving it offset so that you can see where the two piles meet. Slide the offset deck toward you and remove the now top pile, which consists of the lower two thirds of the stacked deck. Place this pile in front of the misplaced third. Pick up the original top third and place it back on top of the deck so that all the thirds are restored to their original order. Hold the deck by its long sides in your right hand so that the back of the cards face your palm. Separate a small portion of cards from the top of the deck with your left hand while removing the majority of the deck out from under these cards with your right hand. Place the bottom portion of the deck on top of the small portion of top cards so that the larger portion juts out from the deck. Transfer the deck in this manner to your right hand. 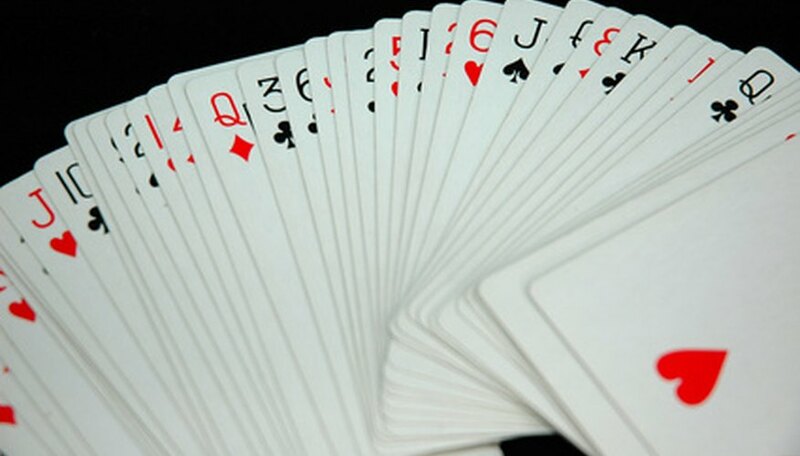 Remove small portions from the bottom of this larger portion of the deck that is jutting out with your left hand until you are holding all of these cards in your left hand. Place the remaining card back on top with your right hand so that the deck is restored to its original order. Memorize the story of Sam the Bellhop. Walk through the entire routine without using any of your false cuts, runs or shuffles. Add false runs, cuts, and shuffles to your Sam the Bellhop routine. Some of the runs, cuts, and shuffles required for this trick can be very difficult when you intially attempt them. Practice them literally hundreds of times to master them. This is a trick that you will spend the rest of your life mastering. Do not be discouraged in the beginning. Any and all false shuffles, runs, and cuts that you learn can be added into your performance of Sam the Bellhop. Make it your routine by experimenting. Watch other people's performance of the trick to generate ideas that your can use for your own presentation. Do not look at your hands while doing your false shuffles, runs and cuts. If you watch your hands then others will watch them as well. Eric Sievers began his writing career in 2009 working for "The Hippo," a nightlife magazine based out of North Carolina. He holds Bachelor of Arts degrees in philosophy and psychology, both from Appalachian State University. Instructions for the Card Game "Michigan Rummy"